But what if they were both right, but for the wrong reason? 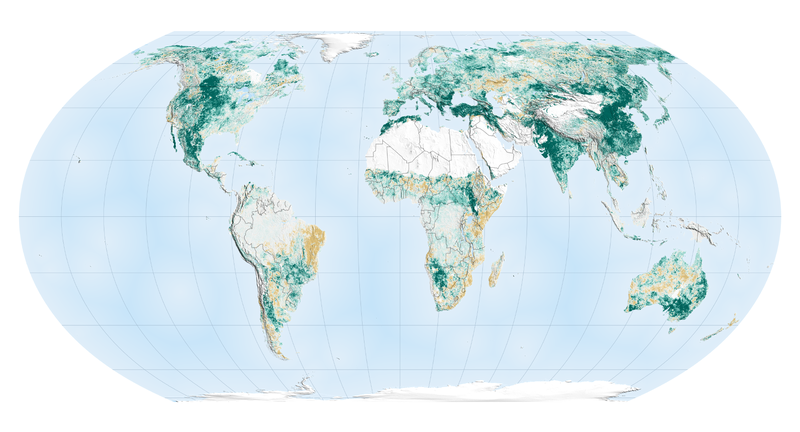 Here is an image of the globe showing how is is greening. Land management and CO2 fertilisation is leading to more ground cover on every continent. It’s strongest in India and China, where changing land use is the cause, but the east coast of Australia has a lot of spots that have picked-up at least 32% more cover in the last two decades, and that can’t be due to land use. Tasmania is also (contra the claims in Flannigan’s article) getting greener. More vegetation equals more fire load, which, especially if you do maintenance burning less frequently, surely leads to bigger and more frequent fires. So at last, a credible link between CO2 and forest fires. Just not the one that the Queensland Premier and the Tasmanian Bard were looking for. Professor Martin Weissman Weitzman postulates “that if there is a finite possibility, however small, of an infinitely bad outcome (human extinction) then virtually any cost is worth incurring to prevent it,” according to Peter Lilley, writing in this review of the Stern Report. 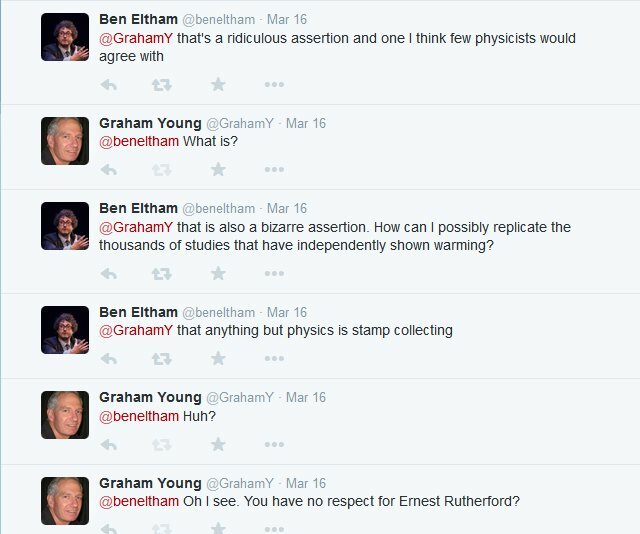 All of which confirms, as many have been suggesting, that global warming catastrophism is a species of religion. It can’t be confirmed by the facts, so it has to be confirmed by sophistic sleight of hand. Except Pascal’s wager doesn’t really work. Certainly not in a world where there is a plethora of possible ways, from global warming, to nuclear war, to world-eating asteroids, to arrive at an infinitely bad outcome. But in a world of finite resources, you can’t throw virtually everything at virtually anything that can be conjured up in someone’s fetid imagination or computer model. There aren’t enough resources to go around. So, you have to make intelligent guesses and discount the infinitely small probabilities of infinitely bad possible outcomes and concentrate on those things that are highly probable, and with a higher chance of being solved. To do otherwise is to be dictated to by the neuroses of the various Chicken Lickens who populate the environmental NGOs, universities, and most western left of centre political parties, squandering resources that could be used to improve someone’s lot sacrificing to the idols of idle thought. And in the process pathologising government and society. The pyramids are an inspiring monument to civic mobilisation of national resources in the service of religion. But while we may find them enriching, they must have impoverished the civilisations that were forced to build them. Diverting resources and imagination to sterile and futile monuments to protect against the gods. These days we build windmills, but they have exactly the same propensity to impoverish at the same time they fail to ward off disaster. 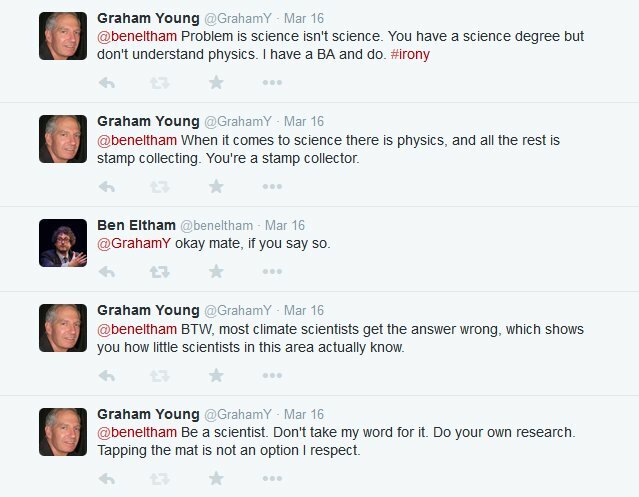 In this world Bjorn Lomborg is the necessary heretic. Asking what can be tackled, at what price, and then providing a list in order of priority. He’s not a climate change atheist, but he’s not taken in by Pascal’s wager either. Particularly as the resort to Pascal’s wager tends to the conclusion that there is absolutely nothing to worry about. 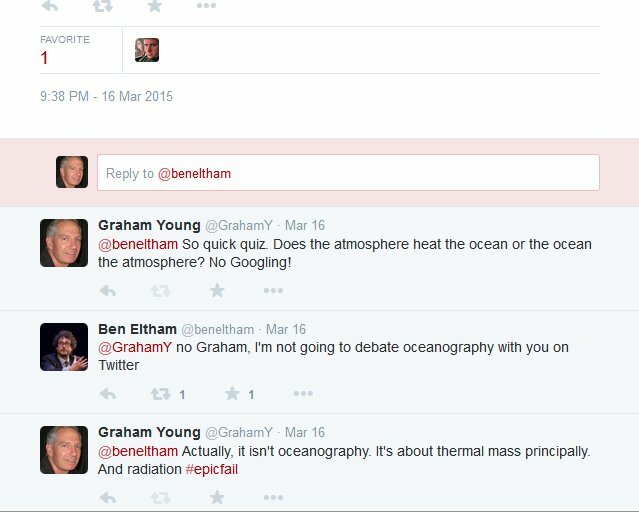 Anyone who understands physics, which excludes many prognosticators on climate change (yes, I’m thinking of you @beneltham*), understands that the oceans drive the climate. So it was always a bit of a stretch to think that the plateau in global temperatures of over the last 18 or so years was because the heat was hiding in the ocean. For that to be the case they had to answer the question as to why the ocean had suddenly stopped heating the atmosphere and was now retaining the additional heat and effectively becoming hotter than the atmosphere. Recent research by Liang, Wunch, Heimbach and Forget suggests that not only is the heat not hiding in the ocean, but the ocean is very gradually becoming cooler. This opens the possibility that recent temperature increases reflect energy balances at some stage in the past, not the present. Another of the interminable list of confounding factors that can’t be, or aren’t, factored in to climate models. Current emissions of CO2 may well just be balancing out a gradual cooling of the globe, which is evident in the record of the last 10,000 years. 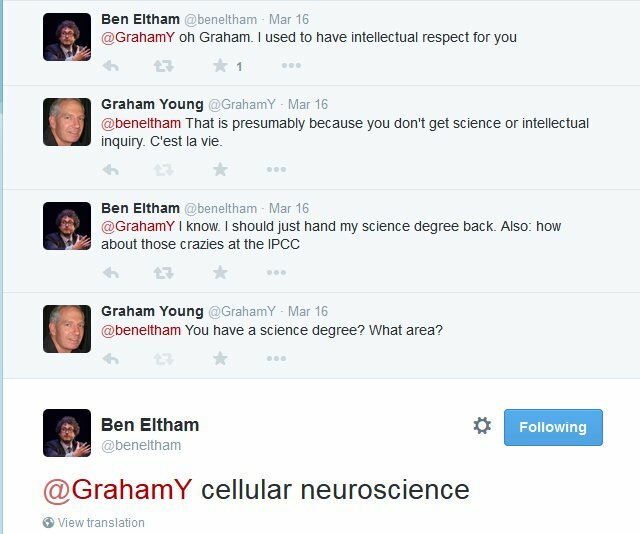 *If you’re wondering about the Ben Eltham jibe click here to follow his haranguing of me for daring to have an opinion on global warming that differs from his. 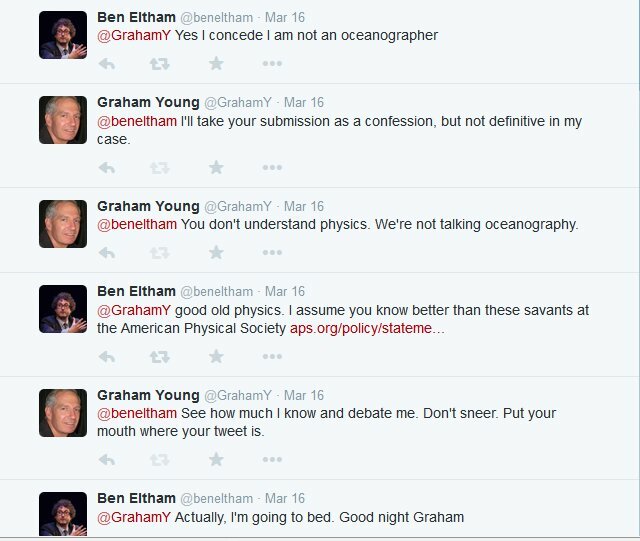 When he claims to be a scientist and tries to pull rank I ask him a simple question about water, air and thermal mass which he confuses with oceanography. 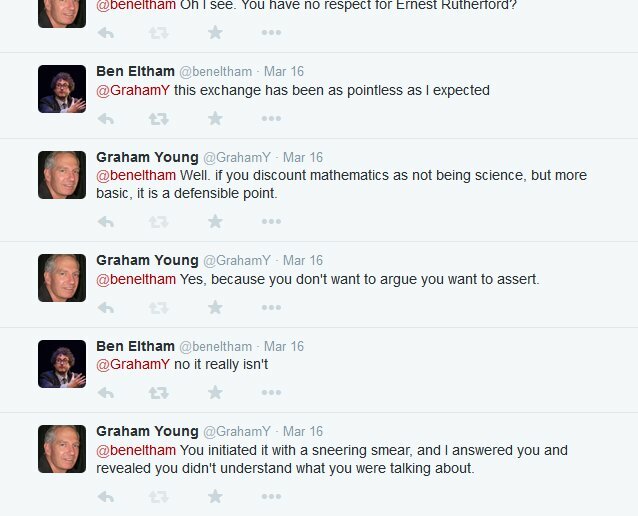 You can read the whole unedifying discussion here. But I’ve also copied the tweets below. 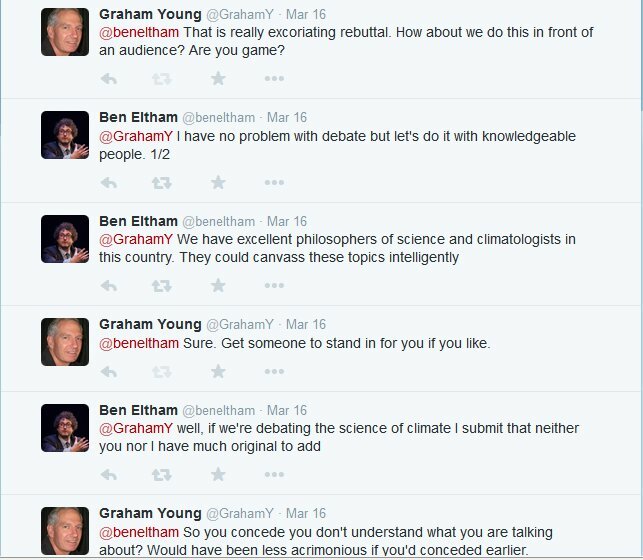 I challenged Eltham, who works for rival think tank the Centre for Policy Development to a debate on the subject of global warming, but he refused. Seems it’s OK to have a view, but not necessary to be able to defend it. 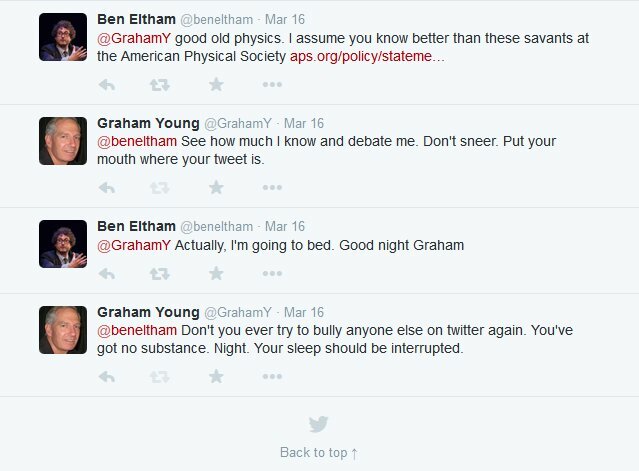 A climate denier is apparently someone who says anything that disagrees with the IPCC Assessment Reports. That makes Christine Milne, Al Gore, and my fellow blogger Ronda, climate deniers. They all assert that climate change is causing more extreme weather, including more tropical cyclones and hurricanes. This is contrary to the most recent IPCC Assessment Report AR5, although some earlier reports did give some comfort to that view. 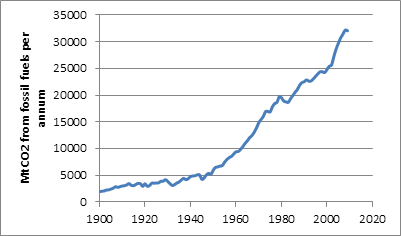 That the IPCC is right, and the Green deniers wrong, is graphically illustrated below. 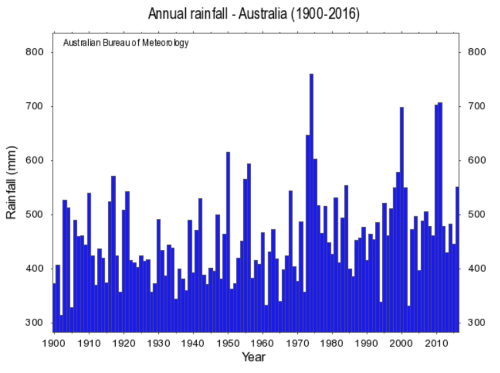 The graphs are taken from WeatherBell.com, and can be seen in context on this page. 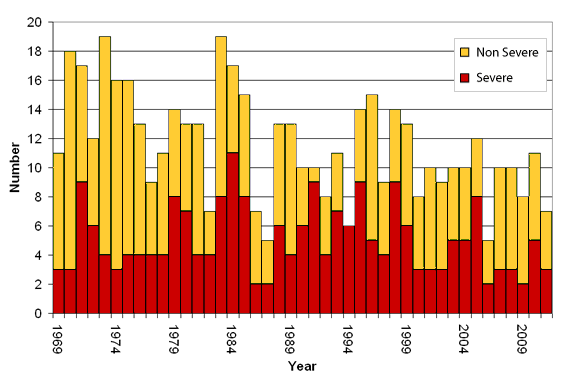 They demonstrate that there is no trend in the number and the total energy of hurricanes over the last 40 years. It’s couched in neutral language, but the Institute of Physics, with an international membership of 36,000 physicists has expressed serious doubts about the objectivity, methods and outcomes of the published results and staff from the Hadley Centre for Climate Research Unit.